Canine Café Canned Dinners for Dogs are made with the same quality, healthy ingredients that Bravo uses in their frozen raw and freeze-dried raw diets. Those healthy ingredients start with real, quality cuts of muscle meat and organ meat and I can vouch for Bravo’s cuts of meat, because I eat their frozen and freeze-dried raw diets all the time. But Bravo doesn’t stop there! Canine Café dinners also include all the yummy fruits and vegetables I find in my Bravo raw diet including cranberries and mixed greens. 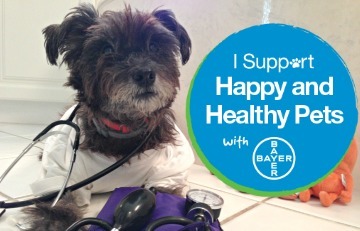 To top off the recipes, Canine Café dinners include green lipped mussels which are a great source of a unique mix of omega fatty acids, glucosamine and chondriotin – all of which have anti-inflammatory properties. Canine Café Dinners for Dogs come in two styles – 95% Meat Dinners and Meat Fricassees. Both styles are grain and gluten free, have added vitamins and minerals and are 100% complete and balanced. Canine Café Dinners for Dogs do not have any artificial preservatives, flavors, colors nor any guar, carrageenan or cassia gums. I know I am on a raw diet but I just had to try Canine Café. I tried the 95% Rabbit, Pork and Liver Dinner and I thoroughly enjoyed it. Other flavors include 95% Beef, Turkey & Liver; 95% Chicken & Liver; Beef Fricassee; Chicken Fricassee and Turkey Fricassee. 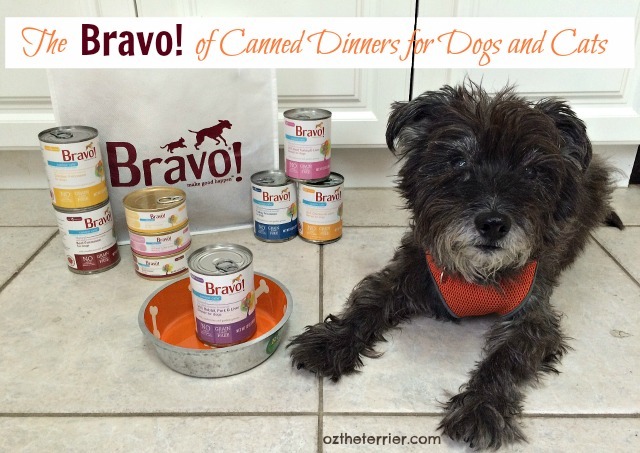 If you are eat canned food, or if you like to have some canned food once in a while as a treat meal, I highly recommend you give Bravo’s Canine Café Dinners for Dogs a try. 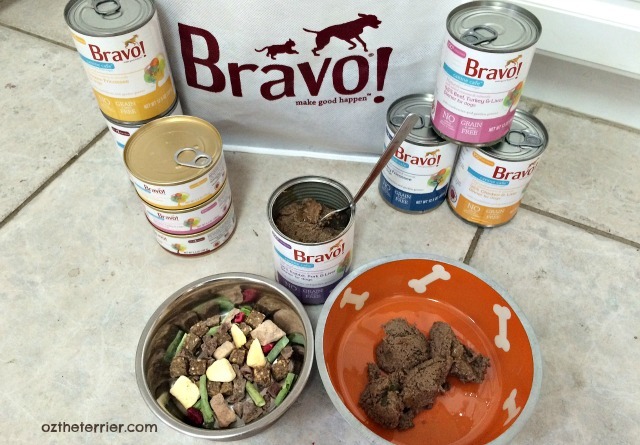 With the success of Canine Café, Bravo created the same style canned dinners for cats – Feline Café. Feline Café Dinners for Cats are 100% complete and balanced and include taurine which is essential for cat health. Flavors are: 95% Beef, Turkey & Liver; 95% Chicken & Liver; 95% Duck, Turkey & Liver; Beef Fricassee, Chicken Fricassee and Turkey Fricassee. To my kitty-cat friends: if you would like to learn more about Bravo Pet Foods Feline Café Dinners for Cats, then you need to read my good friends Sometimes, Cats Herd You Bravo post today. Though Newton and Ashton eat a raw diet, buddy Pierre is finicky so he has been trying Feline Café. Leap over to find out his and his mom’s thoughts. If you would like to try some Bravo Pet Foods Canine Café or Feline Café, then you are in luck! 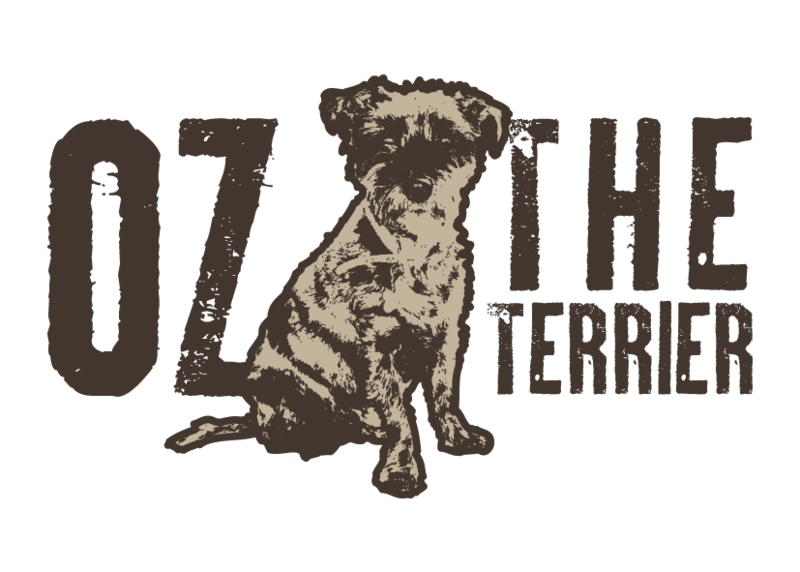 Oz the Terrier in partnership with Sometimes, Cats Herd You are giving two lucky winners – one dog and one cat – a chance to win some Bravo of Canned Dinners for Dogs or Cats. The giveaway is open to U.S. residents age 18 or older. Giveaway ends April 20. Good luck! Nervous you won’t win these delicious Canine Café Dinners for Dogs or the Feline Café Dinners for Cats? 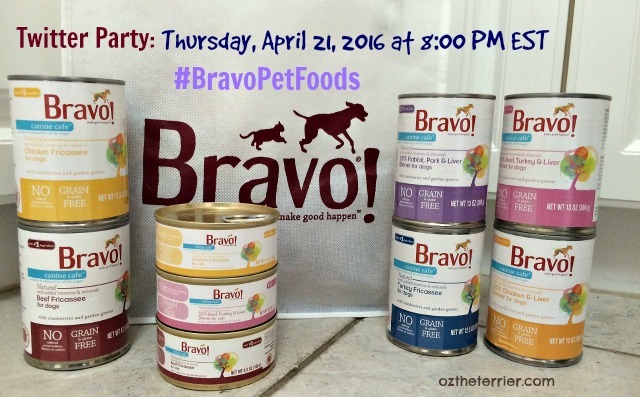 Then join me and Bravo Pet Foods, along with Sugar the Golden Retriever and Sometimes, Cats Herd You for the #BravoPetFoods Twitter Party on Thursday, April 21, 2016 from 8:00 – 9:00 PM EST. We will be chatting about all kinds of Bravo Pet Foods products, including the new canned dinners, and will be offering prizes during the party. You can RSVP HERE. I hope to see you there! 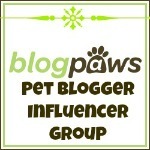 Post Disclaimer: I received free product from Bravo Pet Foods for this post. I received no other compensation. 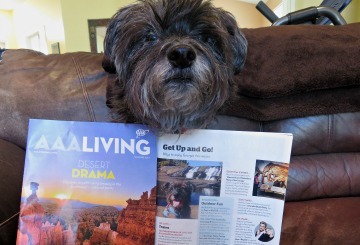 Oz the Terrier only shares information we feel is relevant to our readers. 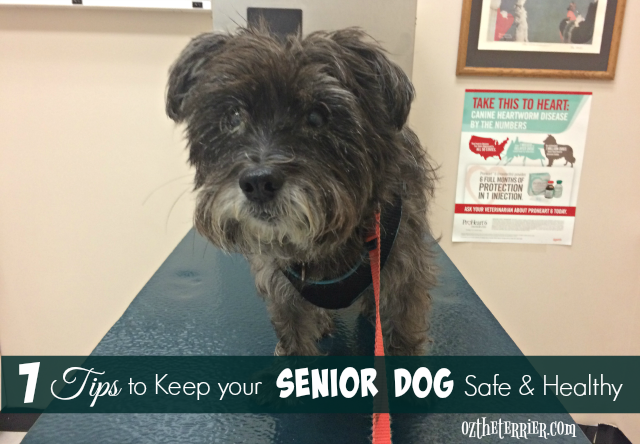 Bravo Pet Foods is not responsible for the content of this article. Oh yum, yum, Oz, you've found sum tasty foodables there....droooooool!!!!! Looks like some great new food! We will have to give it a try! 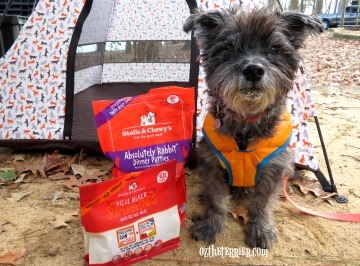 Oz any food recommended by you and named Bravo has to be delicious because we know you love a good dish of foodables. Mmm looks so yummy! Would love to try the canine cafe! 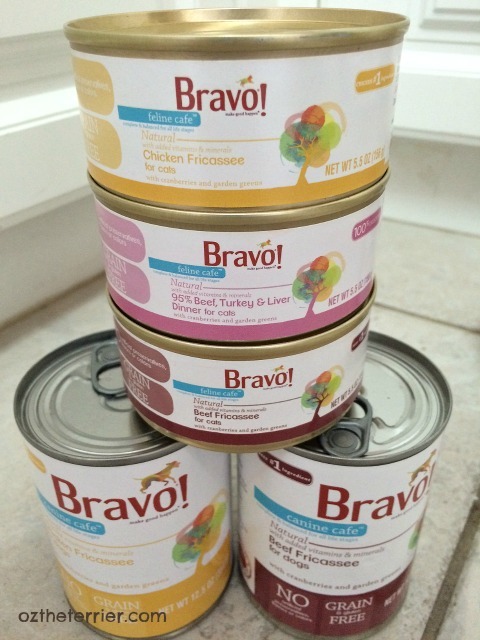 We are still loving our Bravo canned food. My favorite is the 95% rabbit one...no surprise. Very good stuff! We are always on the lookout for quality canned foods for both the dogs and cat! Our cat Sam is pretty selective (picky!) though, so we would try the dog food if we won. This food sounds really great, and we definitely want to try it even if we don't win. We have both dogs (4) and cats (2)..... I guess I'd go with the dog formula. Would like the dog formula for my pup Duke! I do like the Bravo brand! 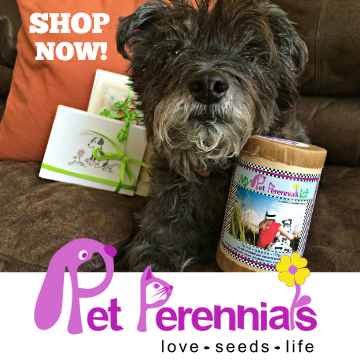 they make some pawsome stuffs! And those look most DELISH!!! Yummy! Would like to try the canine brand! Canine food for this bunch. The big dogs love any kind of food. Mr. Zipp has good and bad days when it comes to eating. 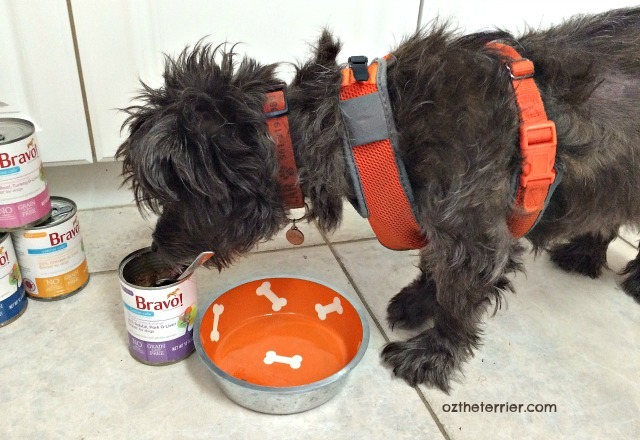 He loves a great canned food like Bravo so that's why we want to try it and see if that doesn't help stimulate his appetite. Nala and Cody would love to try the Canine Café Dinners. They have had Bravo homestyle complete but not the canned foods which I am sure they will love. I also love the fact that the food don't have carrageenan in them which is so hard to find because so many canned food contain this ingredient! Canine cafe. 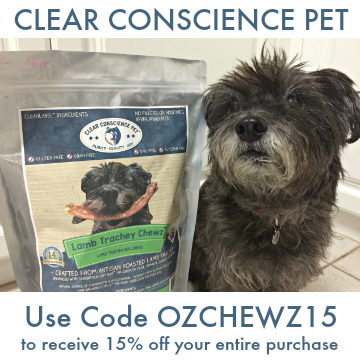 I would love to introduce this quality food to my dog Josie. She is a fussy eater and I would love to find one food she really enjoys.